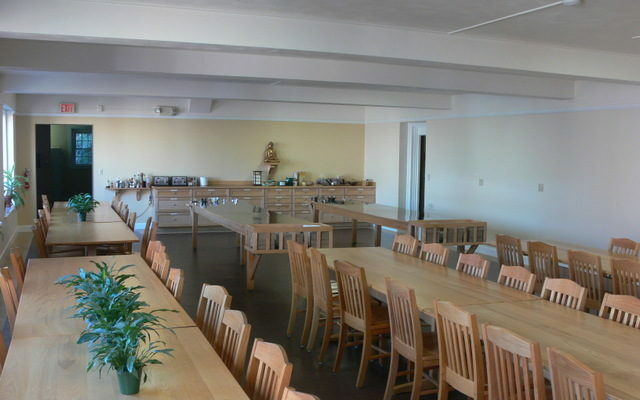 The Retreat Center dining room got new dining tables and chairs, 2008. 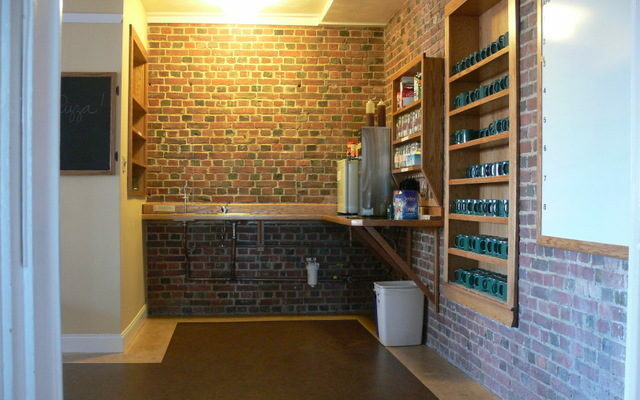 A remodeled tea station and new flooring in the Retreat Center dining room, 2011. 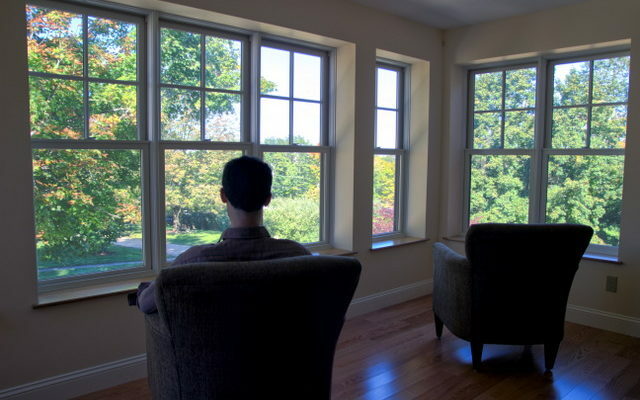 The lower walking room at the Retreat Center was renovated in 2009. 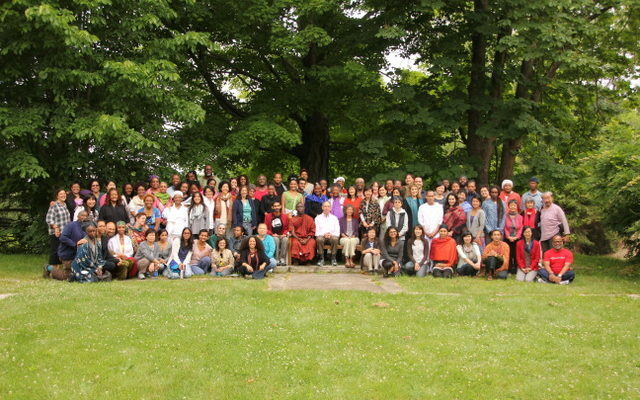 10th Anniversary of the People of Color Retreat, 2012. 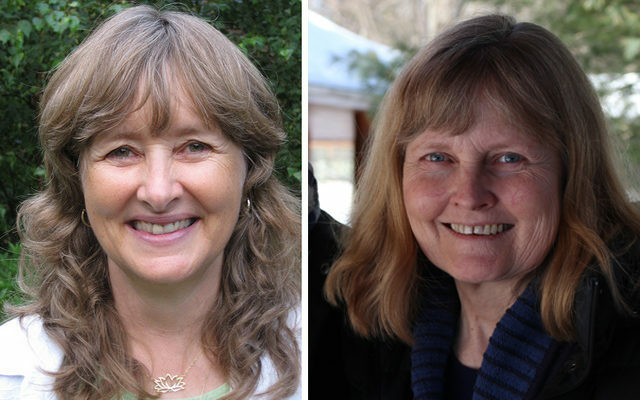 Myoshin Kelley (L) was the Forest Refuge’s first Teacher-in-Residence when it opened in 2003. She remained there until late 2009. Sky Dawson (R) replaced her in 2010. 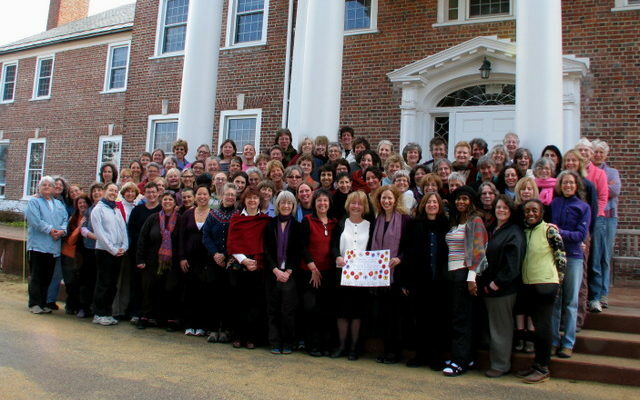 25th Anniversary of the Women’s Retreat, 2009. 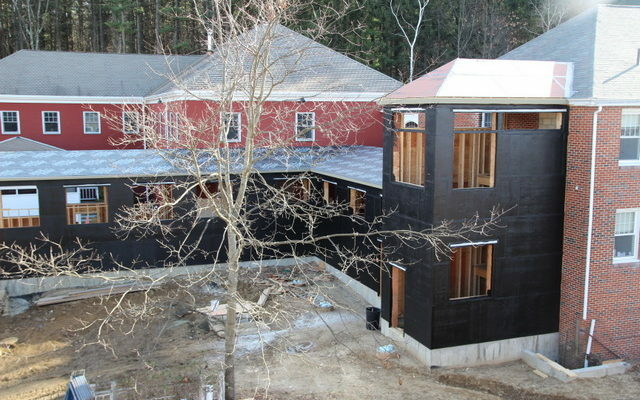 Construction of an enclosed walkway connecting the new dormitory with existing Retreat Center accommodations proceeded throughout the fall of 2012 and into 2013. 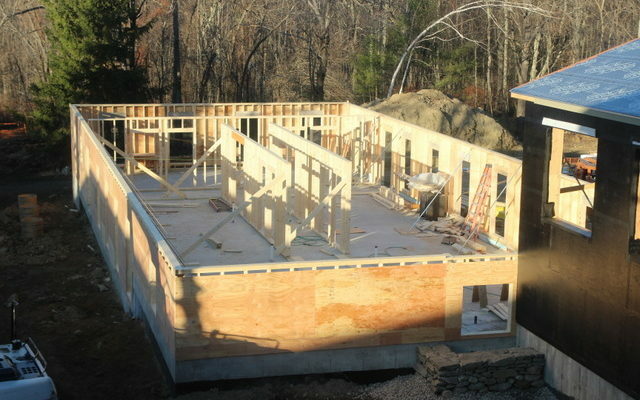 The framing for the first floor of the new Retreat Center dormitory, November 2012. 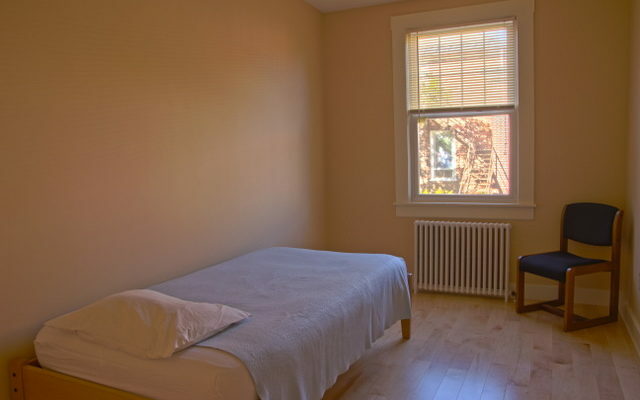 One of the newly-renovated, peaceful bedrooms in the Retreat Center’s Karuna House (formerly the Catskills). 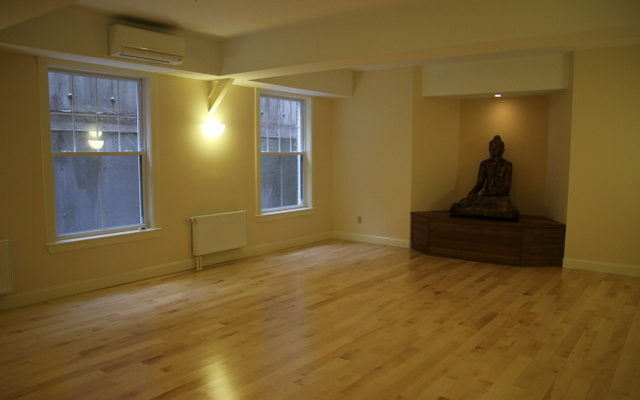 The informal sitting area in Bodhi House, the new dormitory, 2013. 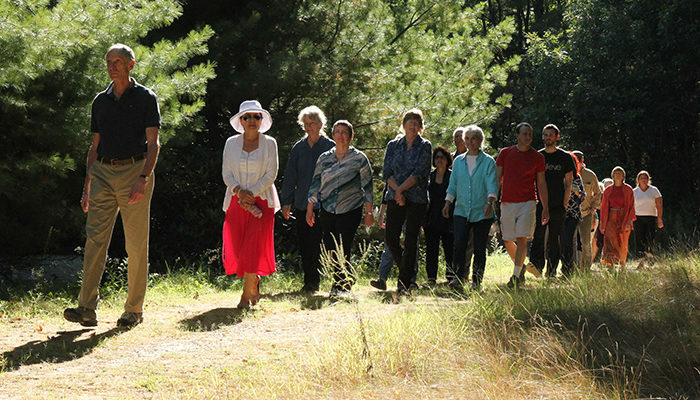 At the Forest Refuge’s 10th anniversary ceremony, monastics led teachers, staff, retreatants and volunteers in a circumambulation and blessing of the meditation hall. 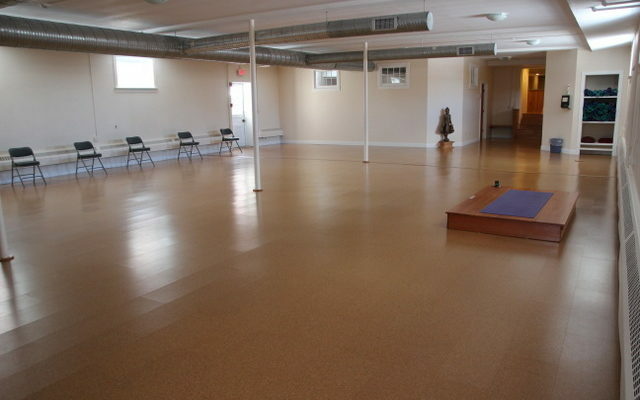 A new walking room was created in the lower level of Karuna House at the Retreat Center. It opened in late 2013. 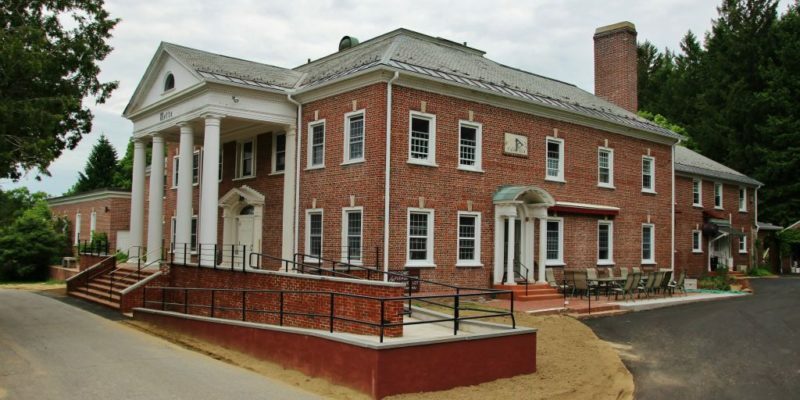 In the fall of 2013, work began on making the front entrance to the Retreat Center’s main building fully accessible for anyone with mobility challenges. 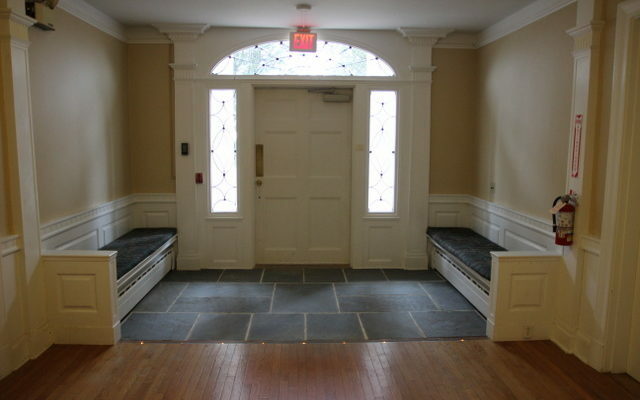 Here is the renovated foyer, December 2013. With the Retreat Center front entrance ramp completed in 2014, our entire facility became accessible to those with mobility limitations. 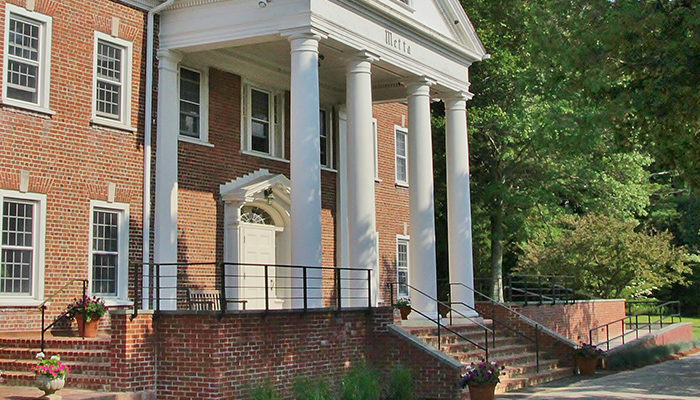 The front entrance project also involved new steps and brick paving leading up to the main door. 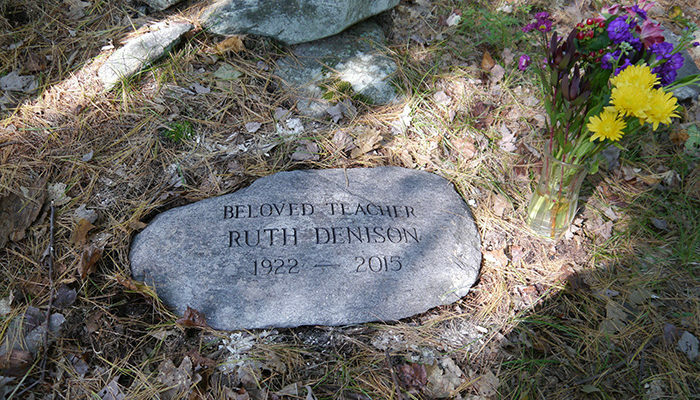 On September 15, 2015, IMS held a ceremony at the Memorial Wall at the Forest Refuge to honor Ruth Denison’s life and contributions to Western Buddhism. An engraved memorial stone has been placed along IMS's Memorial Wall, and some of Ruth's ashes now lie beneath it. 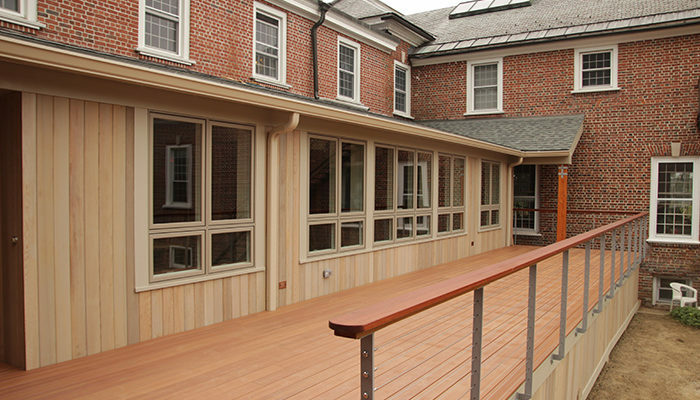 Another upgrade to the Retreat Center dining room involved the construction of an outdoor deck. 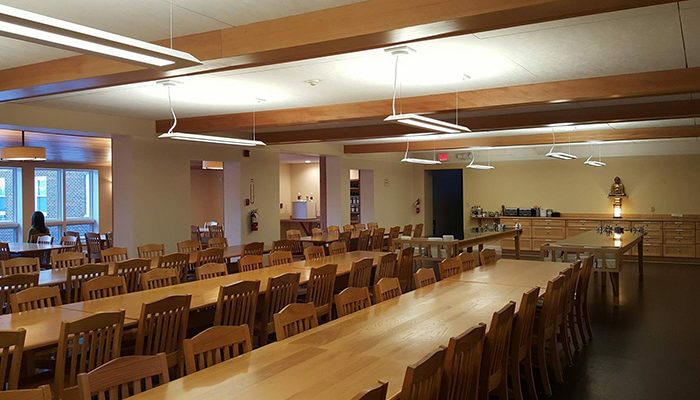 In late December 2015, improvements to the Retreat Center dining room were completed with the installation of ceiling fir trim and lighting, and new acoustical tiles to reduce noise.